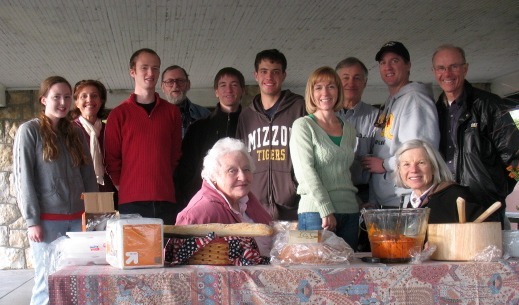 Welcome to the Alliance Française de Saint Joseph and to Northwest Missouri. Located on the extreme northwestern edge of Missouri, St. Joseph is a city filled with echoes of its founder, Joseph Robidoux, prosperous merchants, and those brave young riders who made the Pony Express a never-to-be-forgotten legend. 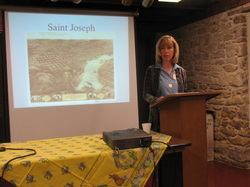 Saint Joseph boasts a thriving business community and excellent educational opportunities. Offering the best of city living with a small-town atmosphere, Saint Joseph is a short 60-minute drive from cosmopolitan Kansas City. It’s also a city of stunningly beautiful historic buildings and mansions, with a serpentine, well-landscaped parkway system probably unlike any other in the United States. Saint Joseph is home to Missouri Western State University, as well as theatrical, art and cultural institutions. Today, the Alliance Française de Saint Joseph appeals to both a French community longing to stay connected to their French culture and heritage and to individuals wishing to learn the French language and experience French culture. The Alliance Française de Saint Joseph (AFSJ), in existence since 1977, is a non-profit, non-political cultural and educational organization whose members are a diverse group sharing common interests in French language and others aspects of French culture, from art to architecture, cooking to fashion, books to films. 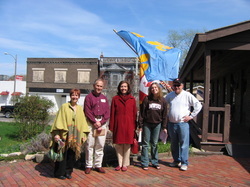 The AFSJ is unique in the Saint Joseph area; neither an arts organization nor an ethnic group, not a social club or an educational association, but having some attributes of all these. It sponsors lectures, films and concerts in both French and English. By offering the opportunity for the Saint Joseph public to experience French language and culture in a variety of venues, it is an enriching component to Northwestern Missouri's cultural resources. It offers also social gatherings, including a holiday dinner in December, usually with a French menu, a crêpe party in February, and an annual celebration of the French national holiday on or near July 14th. The organization also encourages the teaching of French in the area schools, and provides recognition to outstanding students.